Last week I gathered some 80s pixel art that I found while surfing the net. 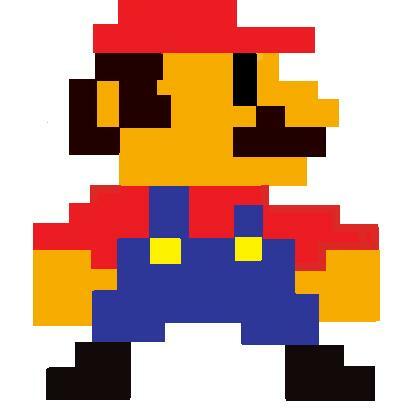 While I was compiling, I found many artistic 8-bit versions of the Nintendo icon Mario. Most of these creations use real objects that piece together our favorite plumber of the 80s. 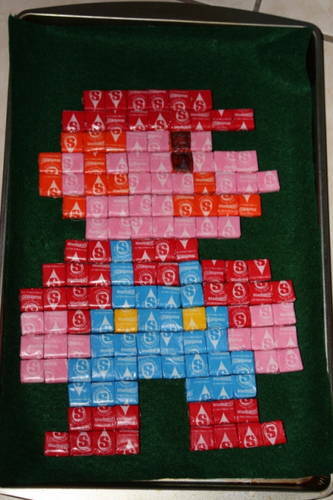 The first Mario creation is why you need variety when choose your favorite carbonated beverages. 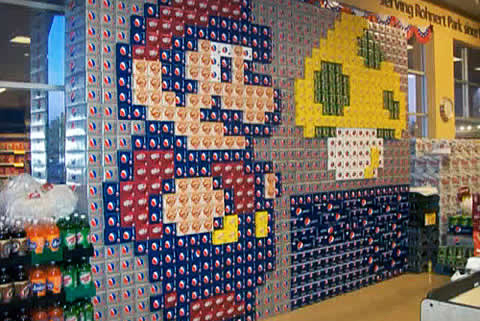 To make a good Mario, the worlds of Pepsi and Coke must come together. The next two Mario creations at grocery stores would have my business for life. Store managers take note of these two works of art and encourage your employees to follow suit for your displays. Having been a stock clerk in my working career, I can attest that displays like these will give your employees a fun job and attract customers to just revel in 80s glory. Find some old floppy disks in your company's storage closet? Well before you toss them out, think of this Mario creation and maybe you can create something to put in your front window for customers to talk about. I'll admit, I got sucked into Farmville when it first became popular on Facebook. My farm is probably overgrown with weeds and a tornado has probably leveled all my buildings. But if you haven't got bored with it like I did, I'm hoping you are buying hay bales to create nostalgic crop patterns such as this one. Got your own Mario ideas, but need a little help? Here's a short video on how to draw 8-bit Mario.